Choose a SIZE, then choose a COLOR! 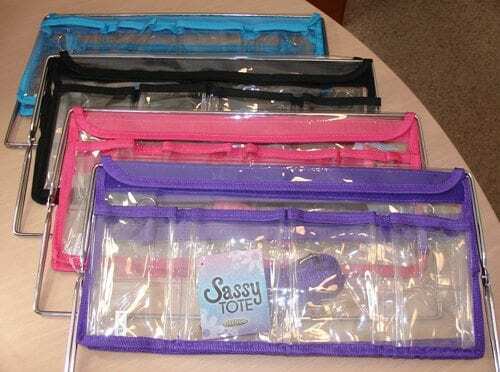 Find what you need faster and easier with the Sassy Tote. 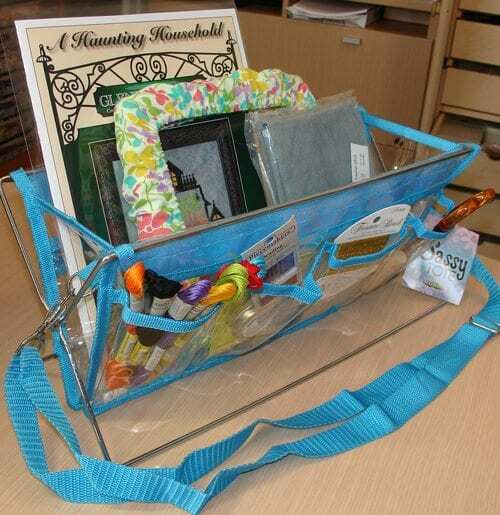 Colorful accents brighten the clear construction of this bag allowing you to see exactly what is inside. 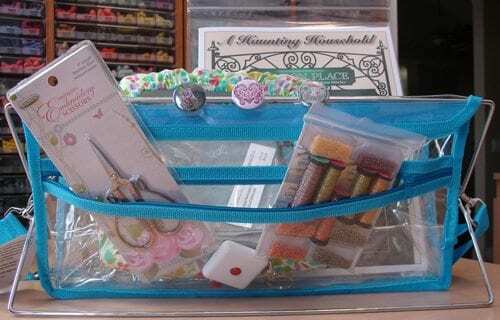 This tote is useful for organizing materials for your stitch project, tools in the sewing room, craft room, office, or even the bathroom. What a great tote for your makeup! When your done, just fold it up and under the bathroom counter it goes. It even has a shoulder strap so it’s ready to go when you are. There are just a multitude of different uses for this versatile bag. 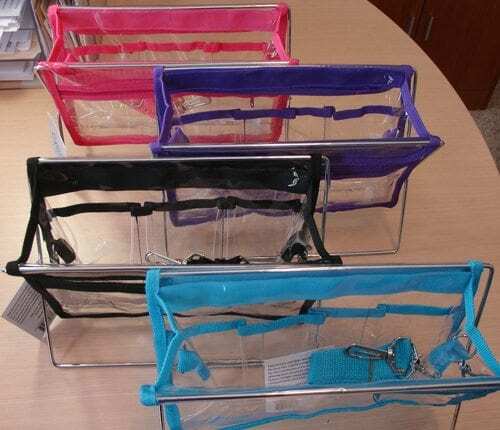 It is made of easy-to-clean vinyl plastic and features one large center compartment and multiple side pockets for storing of various sized items. 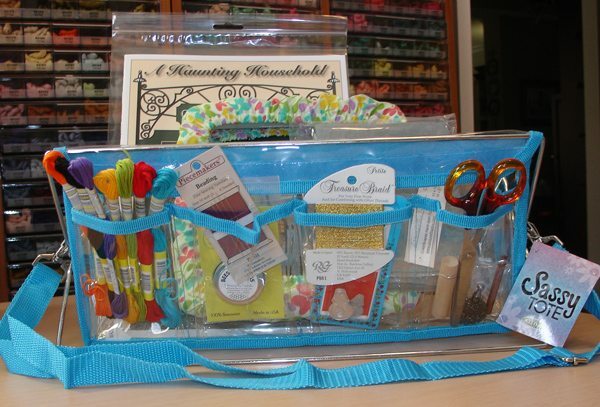 Never waste time searching for supplies when you are at stitch group again! IMPORTANT NOTE: Due to the bulkiness/weight of this item and the special carton needed for shipping an additional $6.00 will be added to the standard shipping amount for 1 item. For example, if the normal shipping for 1 item is $2.00, then the cost to ship this item will be $8.00. THIS ITEM CAN ONLY BE ORDERED AND SHIPPED WITHIN THE CONTINENTAL UNITED STATES. and one 4.5″h X 14″w side zipper compartment on the opposite side. and one 4.5″h X 10″w side zipper compartment on the opposite side.